“Woooooo!! !” Woods screamed as he headed for the scoring room with chants of “Tiger! Tiger! 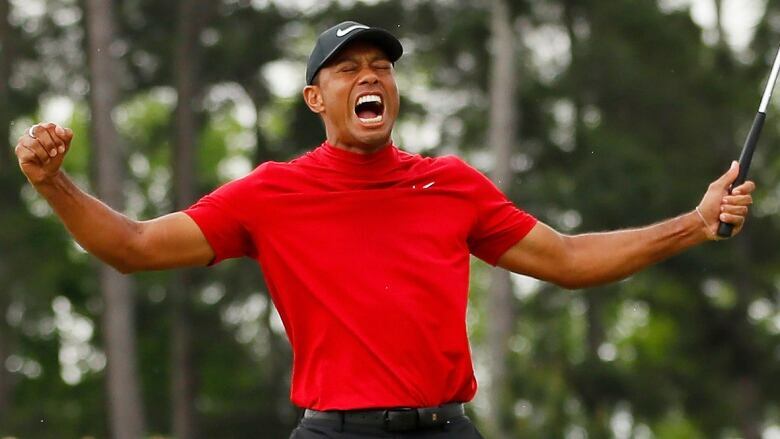 Tiger” echoing as loud as any of the roars on the back nine at Augusta National in Georgia.